If shots going in cures a lot of sins, as Head Coach Billy Donovan would say, then the Thunder looked downright holy in its most recent victory on the road over the Washington Wizards. But after one rest day and a practice over the weekend, the Thunder has to turn around and prove this stretch of four-straight wins is more than just window dressing in a home clash with the New Orleans Pelicans. The numbers for the Thunder have looked fantastic on this recent win streak, backing up the eye test and the record that has evened out to 4-4 after the tough start to the year. Since Oct. 27, the day before the Thunder’s first win of the year against the Suns, Donovan’s club’s per-48 ranks look like this: 3rd in the NBA in pace (possessions per 48 minutes), 3rd in points, 4th in point differential, 4th in field goal percentage, 4th in free throws made, 2nd in points in the paint, 5th in fast break points and in the top third of the NBA with turnovers on just 12.8 percent of possessions. None of those stellar offensive numbers, however, would be possible without the Thunder’s defensive effort during this stretch. Per 48 minutes, the Thunder ranks 1st in steals, 1st in turnovers forced, 4th in three-point percentage defense and 7th in offensive rebounds allowed by snapping up 80 percent of available opponent misses. 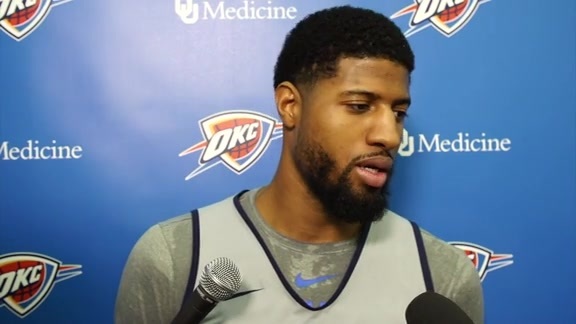 “That speaks a lot to the energy and effort of the guys that we’ve been putting in a lot of work and focusing on securing those possessions so we can play up to our identity of fast-paced, up-tempo basketball,” Noel continued. Protecting the defensive glass will be just one crucial aspect of the wholesale defensive gameplan on Monday night against the Pelicans, who are playing with a small, quick, talented lineup surrounding Anthony Davis. At 23.8 points, 12.2 rebounds and 4.8 assists per game, Davis is not only productive but a matchup nightmare every time he touches the floor due to his height and skill level. He can put the ball on the deck, finish around the rim and knock down three-pointers, this season at a 38.5 percent clip. “It’s always tough to scout for a player like that who does so many different things on the court,” said Noel. The Thunder will need to be aware of plenty of other players for New Orleans as well, including lightning-fast point guard Jrue Holiday, stretch forward Nikola Mirotic, spot up shooters E’Twuan Moore and Ian Clark and bruising bench forward Julius Randle. The Pelicans are going to spread the floor and force Thunder players to defend one on one in switches or mismatches and communicate perfectly in pick and roll coverage. “They play really fast. They get the ball out of the net and up the floor really quickly. There’s a lot of random movement. They’ve got a lot of guys with a high skill level that know how to play and have a good feel for the game,” Donovan described. If the Thunder can manage and tone down the one area where the numbers aren’t kind to the team – fouling – it will give itself a great chance to string this streak to five. 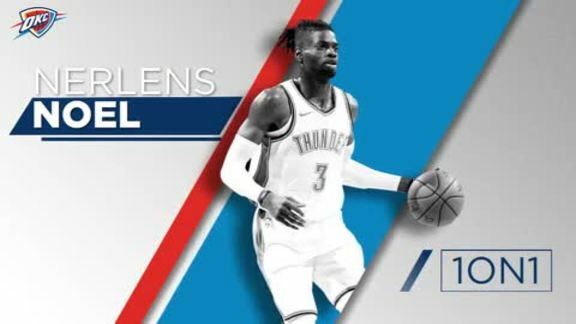 - While the defense has sprung the offense forward, the Thunder has certainly been increasingly efficient by playing in the open floor and generating high percentage shots for teammates. Part of that has to do with two starting-level point guards seeing action on the floor, sometimes all at once. With Russell Westbrook and Dennis Schröder serving as a platoon at point guard the Thunder can play with a downhill identity at all times. - Westbrook is averaging 8.0 assists per game, Schröder is adding 6.0 and George is getting into the mix frequently as a playmaker, averaging 3.9 helpers per contest. That variety in the source of offense is creating an unpredictable offensive approach. - George and Westbrook have also formed a tandem in another department – giving back. On the recent road trip, the All-Star duo have given away their game shoes to kids in the stands, and the moments have been priceless. - Everyone on the Thunder was healthy and available for practice today, aside from Andre Roberson who continues his rehab from knee surgery. The defensive stalwart has been traveling with the team and assisting with film sessions for the younger wings while also making strides in his rehab. - One of the bright spots for the Thunder this past week has been the hounding, aggressive defense from second-year guard Terrance Ferguson, who also scored 9 points and added two assists on Friday in Washington. Early in the season, Ferguson was struggling with over-thinking while on the floor, but got a major confidence boost late one night last week from Russell Westbrook. The Thunder point guard called Ferguson after the game and asked him to meet at the Thunder Ion, where the two chatted for 30 or 45 minutes. “It was just like, ‘I see you thinking, I see you have all this pressure. Just let it go. Just play basketball. You made it all this way. Just don’t think, just have fun.’ And it was really him that got me started, and everybody else came in, building my confidence up, and it really helped,” Ferguson explained.